With tax season upon us, small business owners like those renting one of our Mesa office spaces may begin to panic, but never fear! The more tax deductions your business can legitimately take, the lower its taxable profit will be. 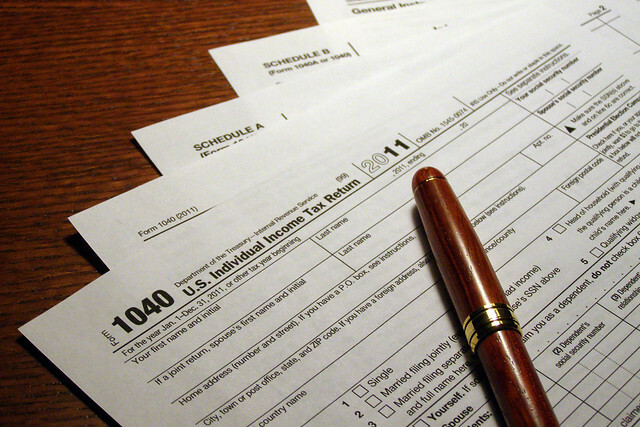 This all depends on paying close attention to the IRS rules on what is and is not deductible. 1. Auto Expenses – If you use your car for business or your business owns its own vehicle, you can deduct some of the costs. There are two methods for claiming expenses. The first is the actual expense method through which you keep track of and deduct all actual business-related expenses. The second is the standard mileage rate method, by which you deduct a certain amount for each mile driven, plus all business-related tolls and parking fees. The standard mileage rate in 2013 was 56.5 cents per mile and has since dropped to 56 cents per business mile driven for 2014. 2. Travel – Similarly, when you travel for business, you can deduct many expenses ranging from the cost of plane fare, taxis, lodging, meals, tips, and more. 3. Business Entertaining – Picking up the tab when entertaining clients or prospective clients can be deducted up to 50 percent if the meeting is directly related to business or takes place directly before or after a business meeting. 4. Office Supplies – Keep receipts for your office supply purchases. 5. Furniture – When your supplies are more than just pens and paper, you have another opportunity for tax deductions. With office furniture deductions you can either deduct 100 percent of the cost in the year the furniture was bought or deduct a portion of the expense over seven years to account for depreciation. 6. Equipment – Just like with office furniture, equipment like computers, copiers, fax machines, and scanners are also tax deductible; either as 100 percent in the year purchased or depreciated over five years. 7. Software – In the past, a company had to depreciate the cost of software over three years, but the rules have changed to allow for full deduction in the year purchased. 8. Taxes – You can deduct various federal, state, local, and foreign taxes directly attributable to your trade or business as business expenses. 9. Insurance – You can deduct the ordinary and necessary cost of insurance as a business expense if it is for your trade, business, or profession. 10. Rent Expense – Rent is defined as any amount you pay for the use of property you do not own. Good news for tenants of our Camroad Properties’ Mesa office spaces; you can deduct rent as an expense if the rent is for property use in your trade or business! These tax deductions and many more are available to small business owners renting space in the Valley. To read even more tips for your office space in Mesa, Tempe, or Phoenix, visit us at www.camroadproperties.com. 1. Reduce unnecessary power expenditures by turning off unused lights and power strips at the end of the day. Many people don’t consider turning off their computers when not in use but this can reduce expenses significantly. Consider installing motion-sensitive lights in bathrooms and other public areas. 2. Go paperless. You can store documents in the cloud or on hard drives, sign contracts electronically, and save on paper, ink, and printers. 3. Hire temporary staff. Using part time staff to perform the more basic or seasonal office duties will help avoid the overhead costs of more permanent employees. 4. Hire an accountant. It may seem counterintuitive to spend more money hiring an accountant or tax professional but having a professional doing your bookkeeping will bring you peace of mind and save you money. A professional accountant will be much more likely to catch deductions that you might have overlooked. 5. Sign up for rewards or discount programs with your vendors. Ordering larger quantity stock for office items can often pay off with earned discounts. 6. Consider eliminating phones altogether. With services like Google Voice and Skype, spending a substantial amount for phone services doesn’t always make sense for specific industries. With mobile app versions of both available, you can stay connected even when you step out of your Arizona commercial office. 7. Reduce travel costs to match your budget. Consider Skype, Google Hangout or web conference platforms like WebEx instead of traveling across country for a face-to-face meeting. 8. Evaluate your needs. Take a good look around your office and ask yourself what things do you really need and what could you stand to get rid of. 9. 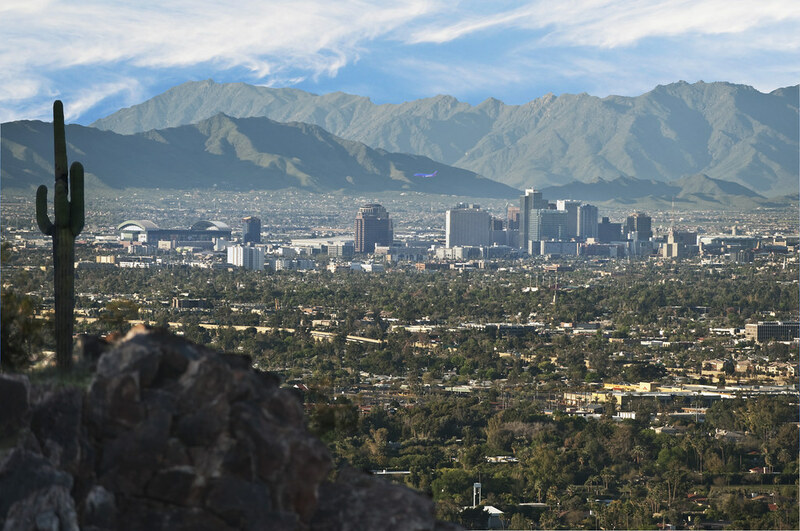 Find the perfect office space in Arizona. Does your location make financial sense? Do you need more space or could you work with less? Answering these questions and finding the right office space for your business could save you down the road. 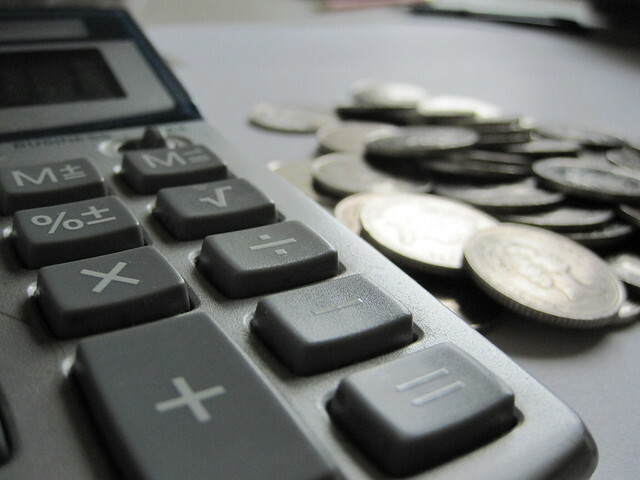 Reducing your office expenses can be an easy resolution if you take some of these simple steps into consideration. Remember, make a plan and commit to it to avoid breaking resolutions and continuing with old habits. Read even more tips for your Arizona commercial office on our blog or take a look at our many Camroad Properties’ locations to find an office space that suits your company’s needs. 1. Low business and property taxes: Arizona’s business and property tax rates are relatively low compared to nearby states. Its corporate income tax rate is 6.97 percent compared to California’s rate of 8.84 percent. It ranks 6th in most business-friendly state property tax rankings and has one of the nation’s lowest combined state and local tax burdens for those looking for an office to rent. Phoenix and Mesa have among the lowest property tax obligations in the nation, according to the Phoenix Business Journal. 2. Low workers’ compensation costs: Arizona is considered to be one of the most cost-effective states for purchasing a workers’ compensation policy. Arizona ranked 38th in average premium rates, making it the 13th cheapest state in the country according to a recent study. 3. Highly educated labor pool: With schools like Arizona State University and the University of Arizona nearby, there is no shortage in the labor force of young graduates, especially in the fields of business, science and technology. At ASU alone, there are 11,000 students enrolled in any of 110 entrepreneurship courses. Entrepreneurism is the future; new start-ups and original ideas are cropping up every day that will change the business landscape of tomorrow. With so many incentives for entrepreneurs, operational costs 40 percent lower than in California, and more than 300 days of sunshine, it’s no wonder so many entrepreneurs are in the market for a Phoenix commercial office. To read even more tips for your office workspace or take a look at our Tempe offices, Mesa offices or Phoenix commercial office locations, visit us at www.camroadproperties.com!